There is a new challenge up at AIFactory today! 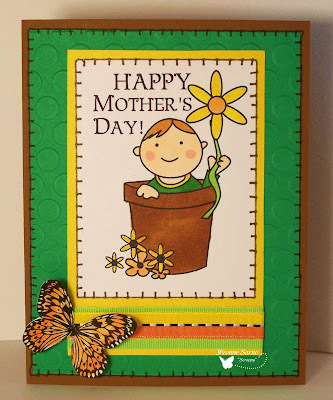 It's an fun and functional one this week - Mother's Day! 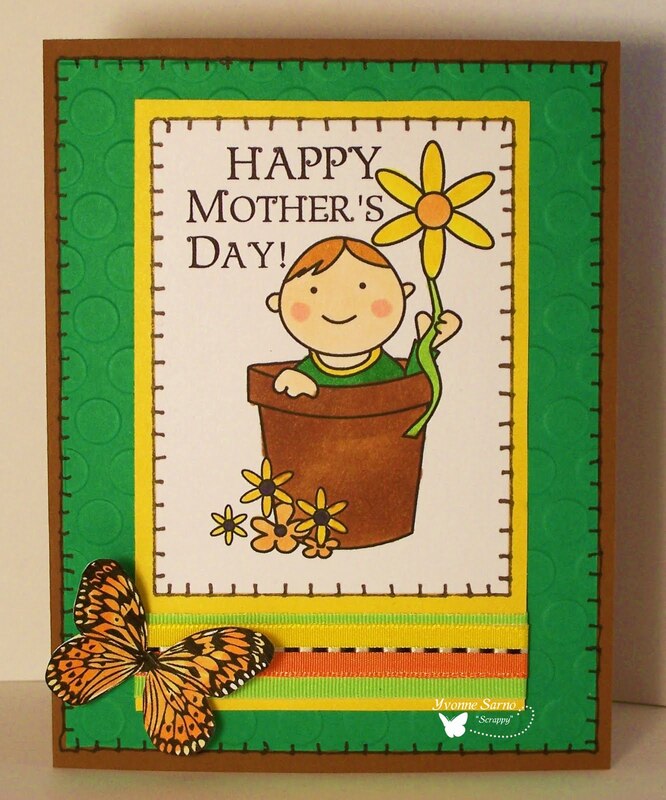 That's right we wanna see your Mother's Day or other special lady's cards and papercraft entries! This was an easy one, so I just kept playing around and came up with a second card! So much fun! For all rules and prize info, head over to the AIF Challenge Blog. Of course, we'd prefer that you use AIFactory Digis, but any stamps are acceptable! Don't forget AIF has plenty of freebies available at their site HERE too! You'll have until 11:59EST on Wednesday, May 12th, 2011 to link up your wonderful projects! What a gorgeous Mothers Day Card!! Love the cute little image you've used, the dp, the colour scheme is so bright and cheery, love the layout too. Coloured beautifully. Thanks for joining us at Divas By Design and Good Luck. Great card! Very cute stamp, love it! Thanks for joining CCC this week! Another stunning card! I love the butterfly! So beautiful. Thanks for joining us at Clear It Out! Thank you for joining us at Top Tip Tuesday in OPEN CHALLENGE! Yes I have to agree another striking card with those colours. I love all the stitching on this one too. Thanks for playing along a second time this week at PTT. Very bright and lovely. Really cute image. Thanks for playing with us over at For Fun this week. That is really cute. Thanks for playing along on FOr Fun. tooo cute, what an adorable image. Thanks for entering our Digistamps 4 Joy "It's a Celebration" challenge. I love the image and your vibrant colouring!